Perhaps you have heard about the amazing benefits of whole body cryotherapy on the news or in a magazine. Maybe your friend has recently started treatments and is raving about it. After hearing such great testimonials, you may be thinking about scheduling a whole body cryotherapy session for yourself. However, before you do, you probably have some questions. To fully understand how whole body cryotherapy works and what you can expect, here are some answers to frequently asked questions that many first-time clients have. How does whole body cryotherapy work? What is involve? During a whole body cryotherapy treatment, your skin temperature is lowered to about -150 degrees Fahrenheit. The process is completely safe and the first session lasts for only two minutes. Future sessions can last for up to four minutes. The session takes place in a cryosauna, and nitrogen gas is used to create the frigid temperatures. Your skin is never in contact with the nitrogen and the process is completely safe. No, treatments are not uncomfortable. Many people report a feeling of ‘pins and needles,’ but it is not painful. If, for any reason, you do feel uncomfortable during a treatment session, you can ask to have it stopped at any time. A technician will be with you at all times and will ensure you are completely comfortable. Will I feel claustrophobic in the cryosauna? The crysauna is a chamber that envelopes the body, but the head remains out of the sauna through a hole that is located at the top, which means that you are not completely envelope. If, for any reason, you do feel like you are getting claustrophobic, you can open the door of the chamber at any time and ask for the treatment session to be ended. What should be worn during a treatment? During a treatment, you will be asked to wear your undergarments or a bathing suit. Please do not wear anything that contains a metal clasp. You will also be asked to remove any metal items that may be on your person. You will be asked to undress in a changing room and will be given a robe, protective gloves, socks and slippers. 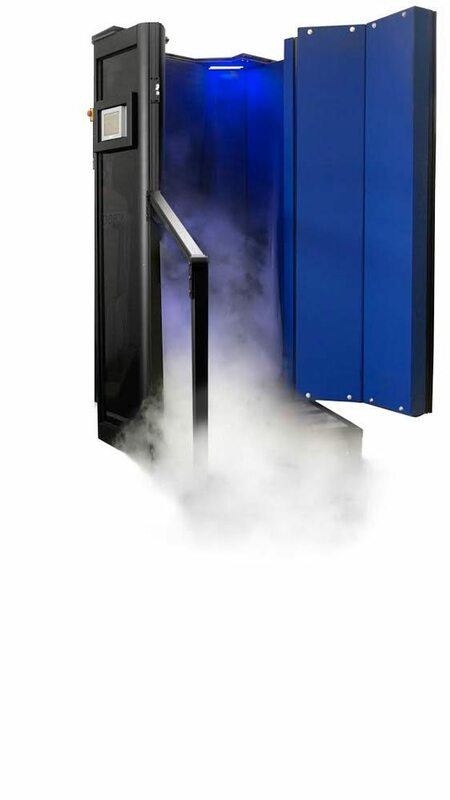 Once you enter the cryosauna, you will remove the robe and hand it to the technician, though you will wear the gloves, slippers and socks throughout the treatment. At the end of the session, the technician will return the rob and you will be able to put it back on before exiting the sauna. Your temperature will quickly return to normal, though you may feel a little cold to the touch for a short period of time. Most people report that they experience a surge in energy and that their overall well-being drastically improves. If you have any further questions about whole body cryotherapy, please do not hesitate to contact Body Beautiful. One of our technicians will be happy to answer any and all questions that you may have. We are located in Nassau County and can easily be reached by all major roadways, including the LIE, the Robert Moses Causeway and the Sunken Meadow Parkway.